Thread: Who is this Artist!?! Examples of his/her work can be found here. It's been driving me batty ever since I was a young kid. 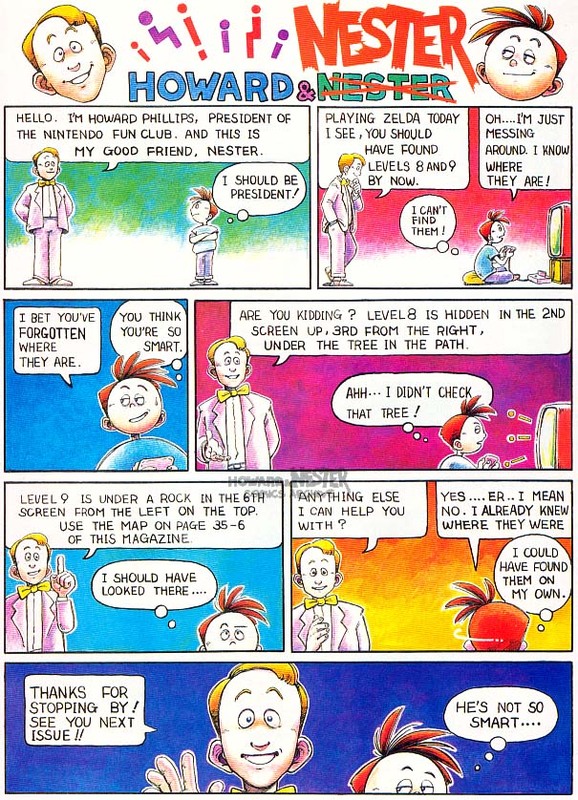 He/she illustrated tons of stuff for Nintendo Power in its early, early days. Not only did he/she do the Howard and Nester comics, but he/she also did illustrations for many of the games featured, such as Double Dragon, Final Fantasy, and Dragon Warrior, among others. Can someone please help me? I'm in love with this style and checking the credits for the old NP issues I have yields no results. no help from me...but man does that ever bring back some memories. going out on a limb here, but my guess is Benimaru Itoh. i have nothing to back this up. maybe someone can run a search or something. Badly translated as some of them were, I think they later tried to get some American artist to do Nester comics, but it really just wasn't the same. Last edited by DanSTC; February 13th, 2004 at 03:02 AM.